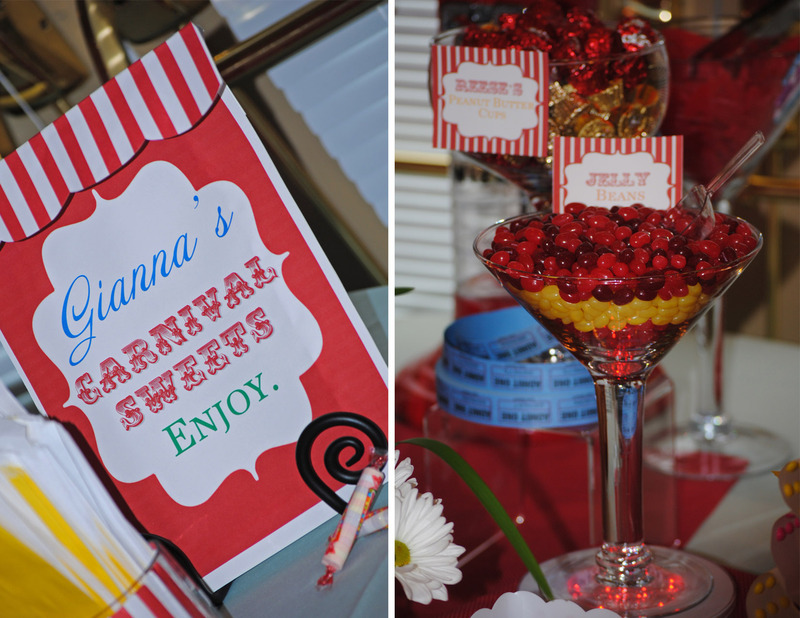 Recently CW distinctive DESIGNS was asked to create a carnival-themed candy buffet for a beautiful little girl’s Communion. 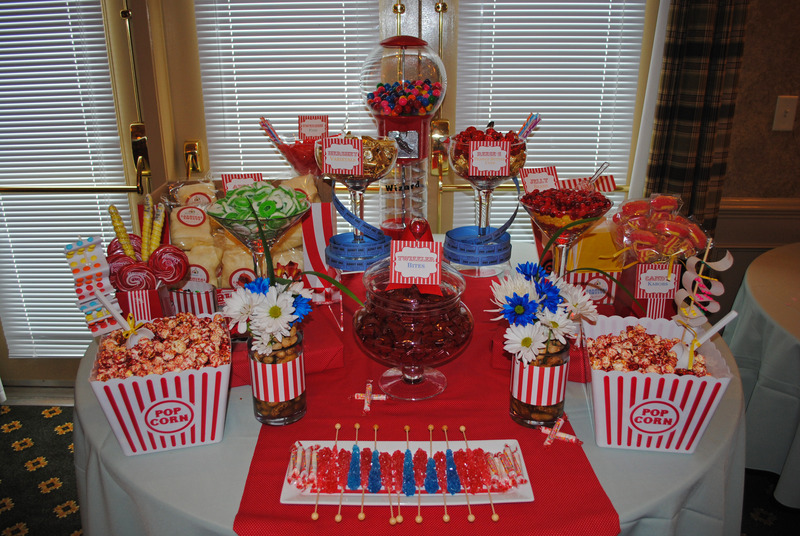 Although the party’s colors included purples, pinks, and greens, the mother had an excellent idea to go in a different direction for the boldly-colored candy buffet table. 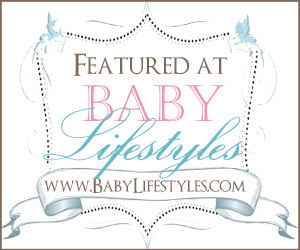 For a person who loves to coordinate everything, I had some reservations; but, it worked perfectly! It brought some flair to an elegant event. 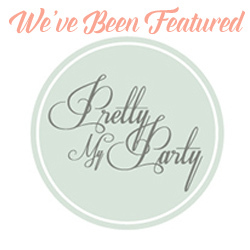 I felt this table was “blog-worthy” because of the fun factor, and wished to share some party ideas for others. What a unique theme for an outdoor party, rustic location or, even, a simple backyard barbecue? Some simple carnival elements were used in “distinctive” ways. 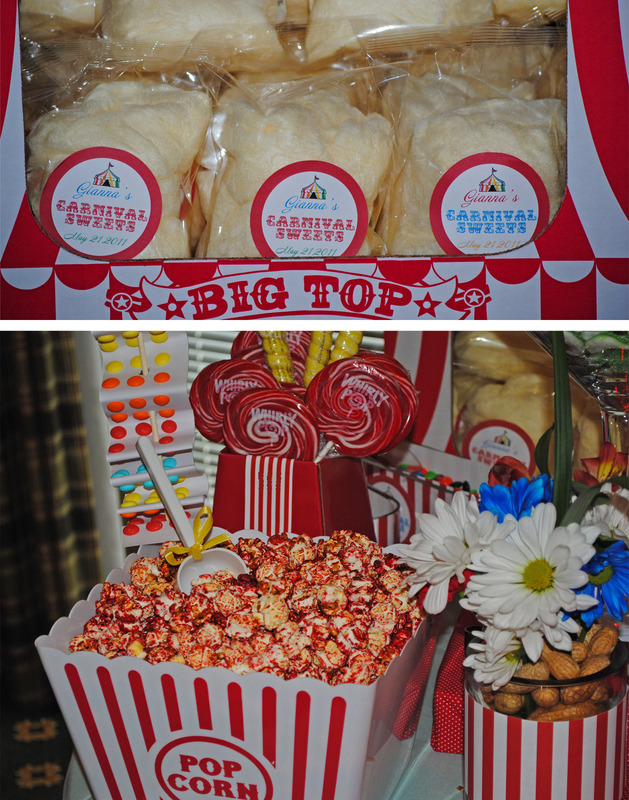 What is a carnival without cotton candy and popcorn? 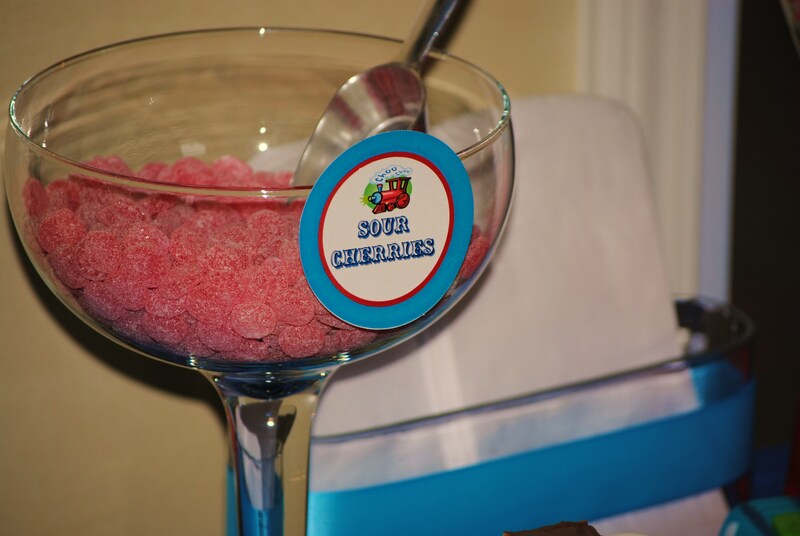 Freshly-spun cotton candy was served in a package adorned with a personalized label. 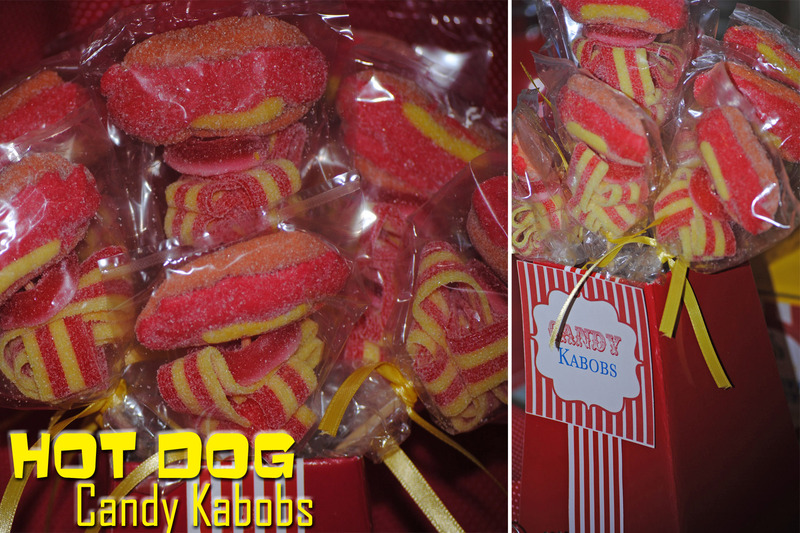 Brightly-colored red popcorn was served in large carnival-styled bins that featured the carnival stripes that were used to tie everything together. 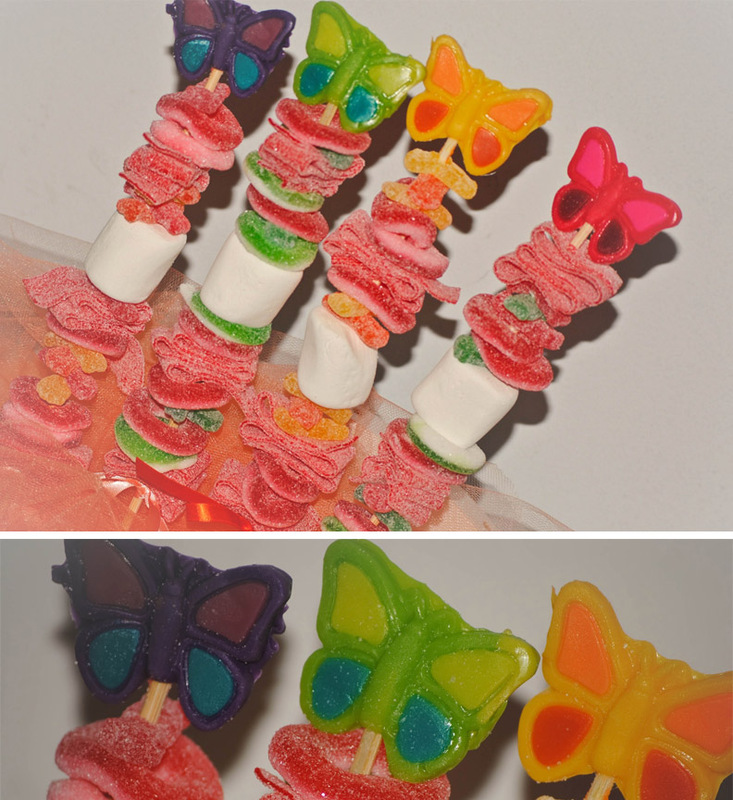 Candy Kabobs made with gummy sour belts topped with marshmallow hot dogs intrigued many people. 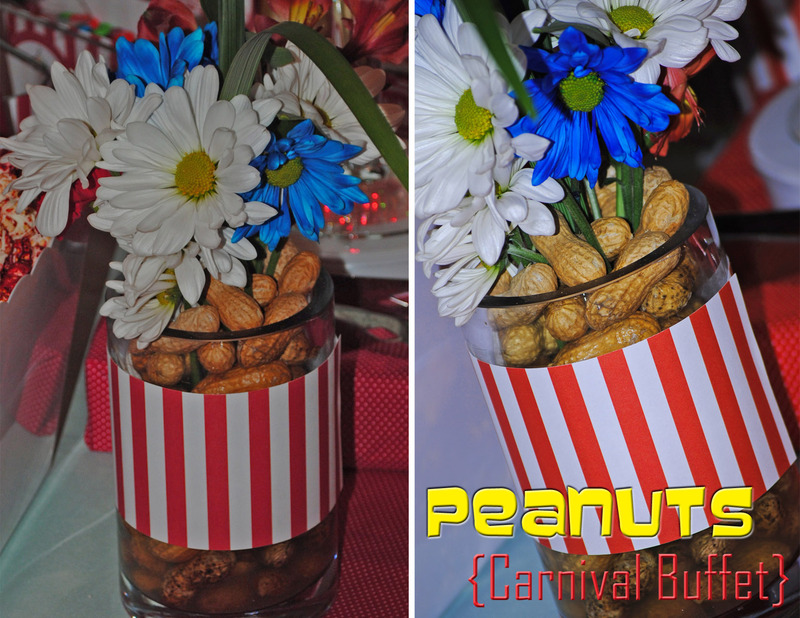 Peanuts were used in displaying the flowers. Gianna’s sign highlighted the striped awning to mimic a “Big Top” tent. 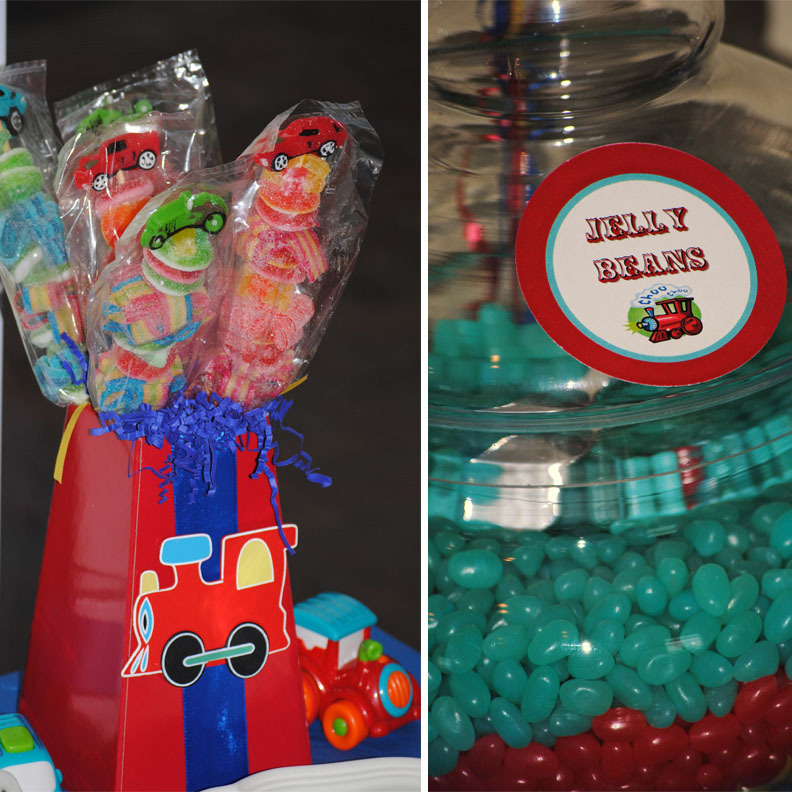 Additional embellishments included raffle tickets, candy button sticks, whirly and unicorn pops, a gumball machine, and LEDs that highlighted the table as the venue’s lights were dimmed. 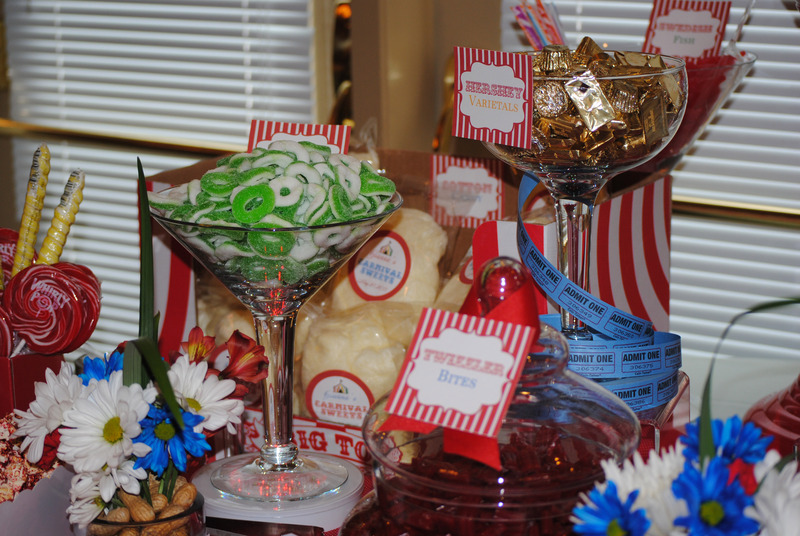 Need a carnival-themed candy buffet at your next function? Or, perhaps, this inspired another theme that you need help with. 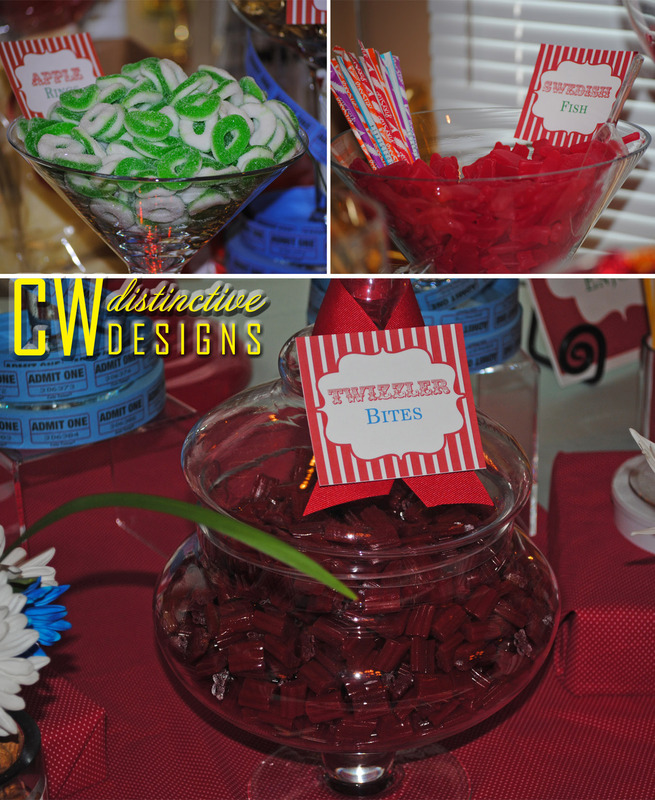 Contact CW distinctive DESIGNS for your Candy Buffet or Sweet Treat Dessert Table. 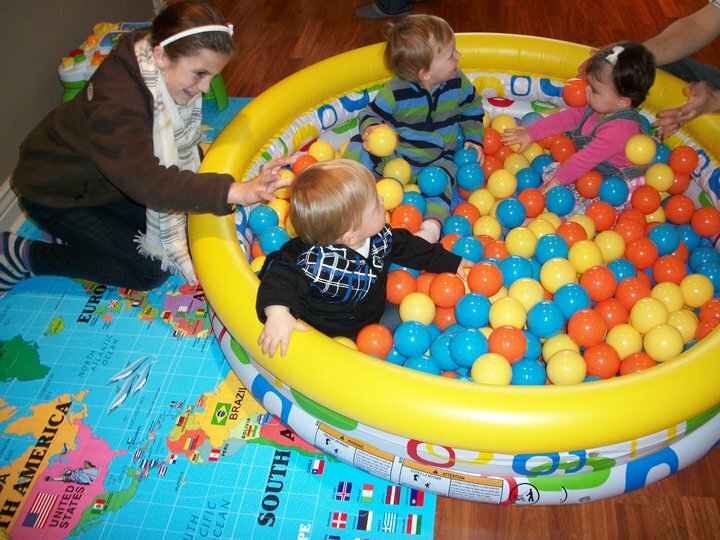 I am very excited to share my son’s first birthday party with you today! The most difficult task was wrapping my head around the idea that it was for my son who was turning ONE already…where does the time go??? 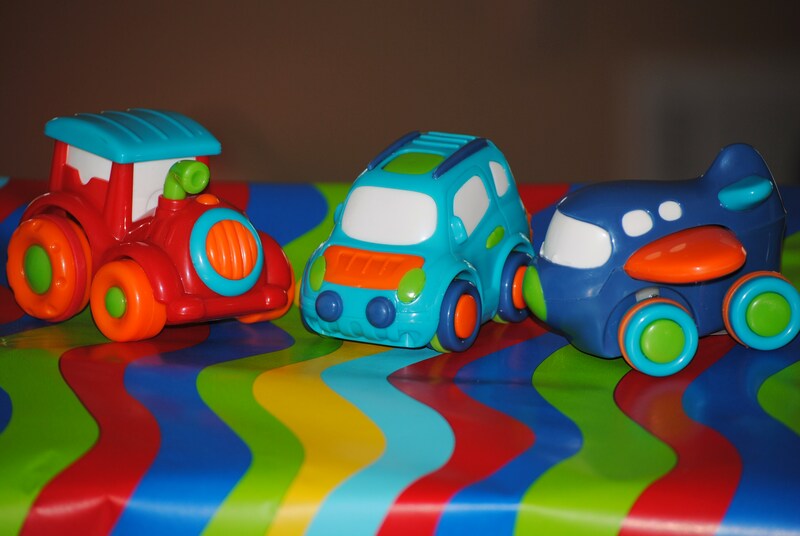 We decided to go with the transportation theme of “Trains, Planes, and Automobiles.” The colors featured were bright and bold (royal blue, red, yellow, aqua, green, and yellow). It all started with the invitation, a little DIY project that I promise to share when the next few crazy months calm down! 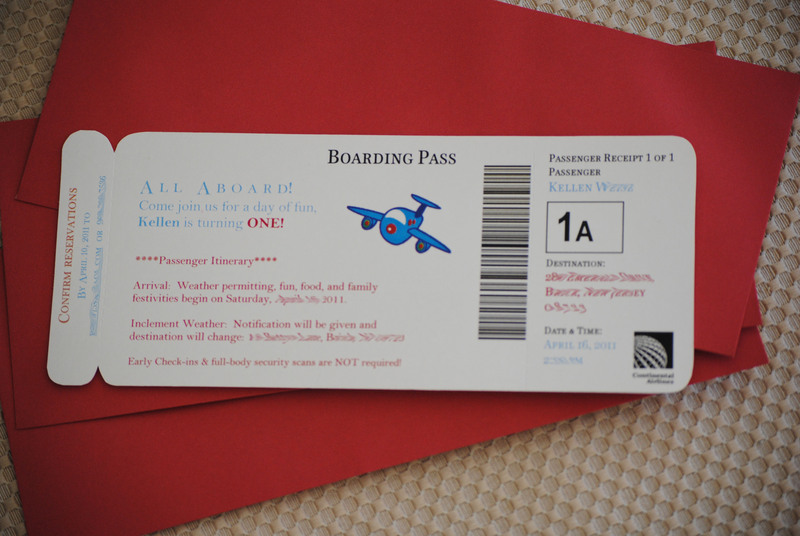 They were plane tickets that featured each young guest’s name. I had several embellishments that coordinated with the theme. Location 1 Featured the gablebox “goodie bags” for the kids and a huge tabletop gumball machine. 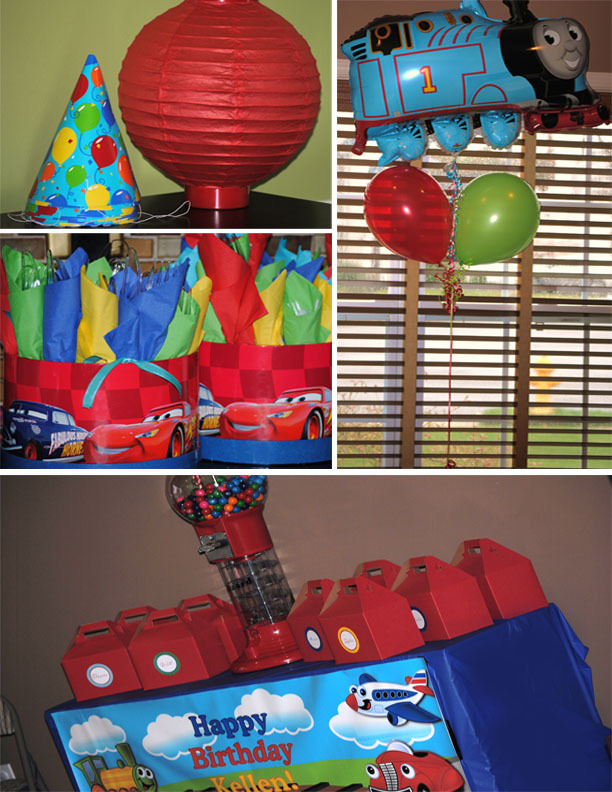 Each goodie bag was customized for the kids’ ages, including items such as car-themed bubbles, railroad-crossing bubblegum tape, books, rubber ducks atop trains, planes, and autos, and car stickers. 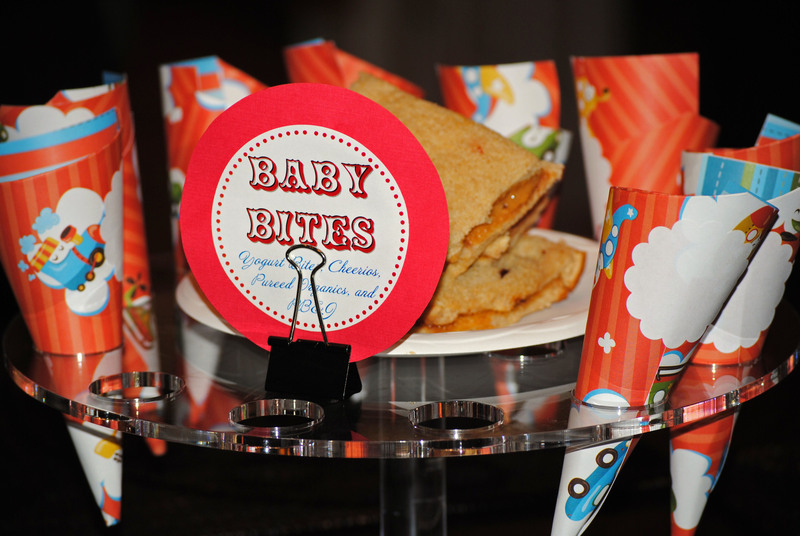 Location 2 It included “Baby Bites” that were served in themed cardstock in a cone display. 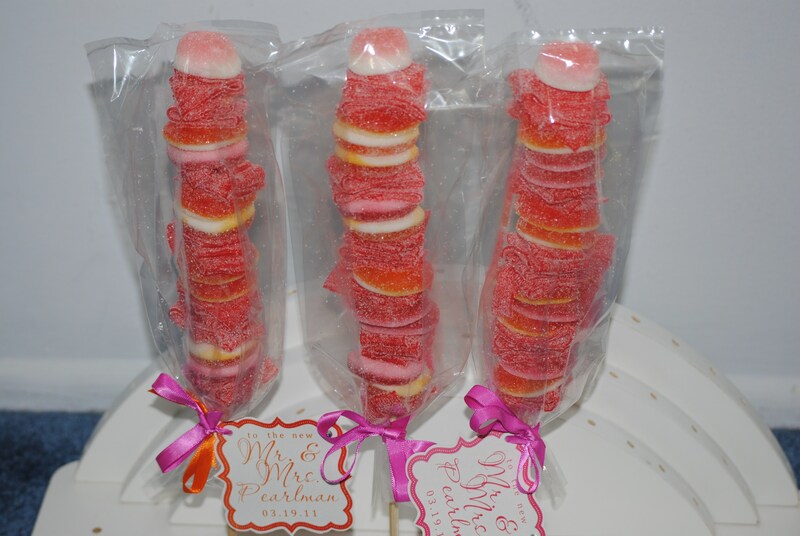 Treats for the babies included yogurt bites, organic fruit purees, cheerios, and peanut, butter, and jelly. 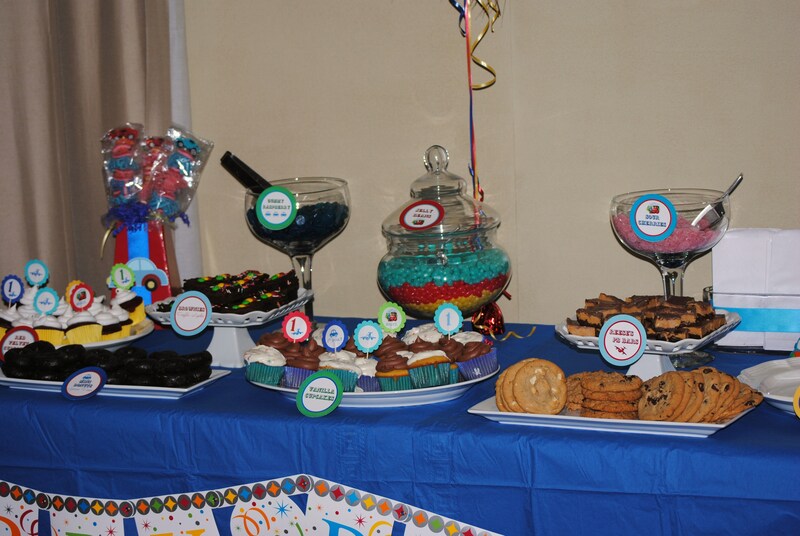 Location 3 Sweet Treat Dessert Table. 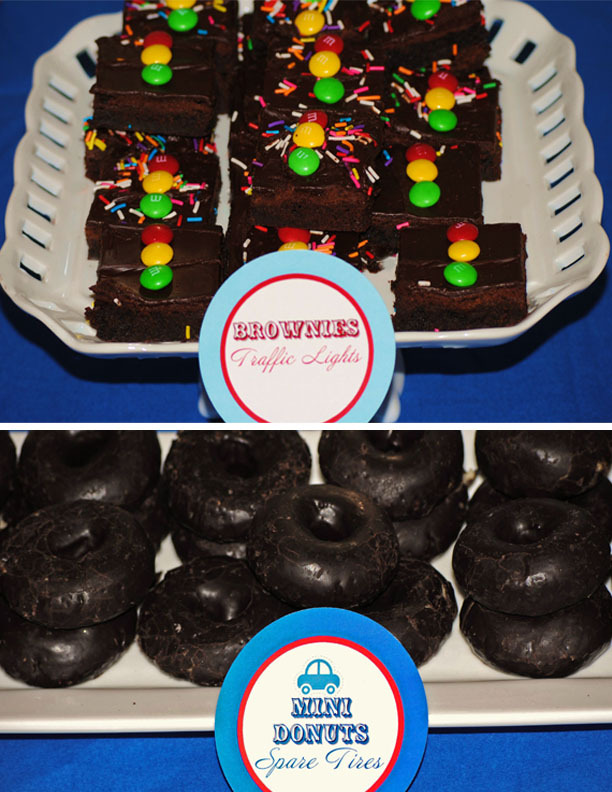 Featuring themed desserts and some other goodies, such as strawberry mascarpone shortcake, Oreo cheesecake cupcakes, traffic light brownies, and much more. 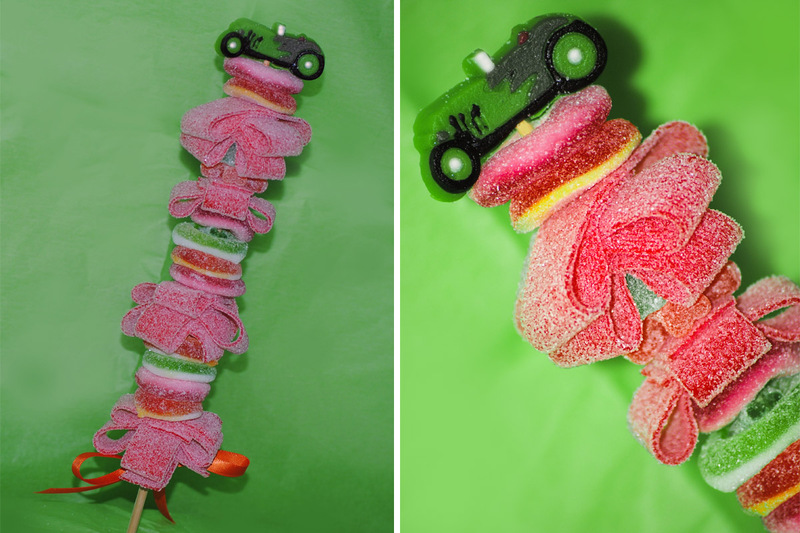 Candies included: color-coordinating jelly beans, gummies, and race car candy kabobs.